Another Lambeth Labour poster, another Lambeth Labour propaganda own goal. 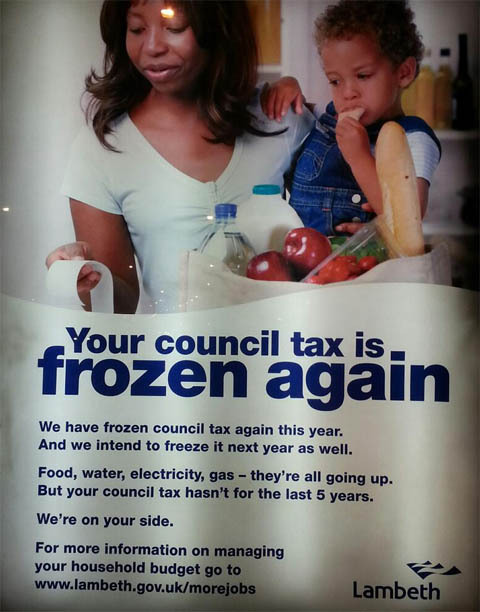 This time they are claiming the credit for freezing council tax, despite the fact that it is a Tory policy consistently opposed by Labour in parliament. For some strange reason that isn’t mentioned.